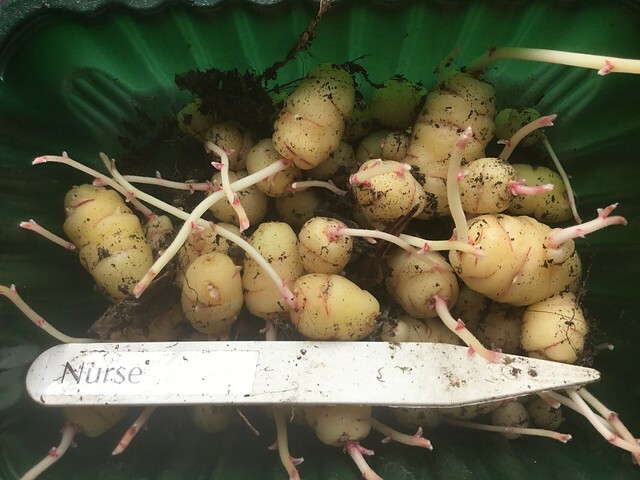 I wasn’t going to grow oca (Oxalis tuberosa) last year, but I wanted to support The Guild of Oca Breeders (GOB) in their efforts to breed new varieties more suited to the UK climate, and so I ended up with one of their supporter packs (which are sold out for this year, although you can still sign up to be an experimental grower) of 12 different varieties. 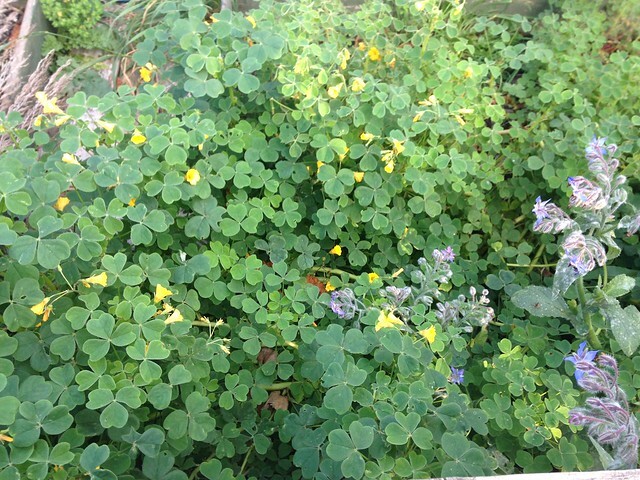 They grew out in the extra strip of garden, without much help from me. 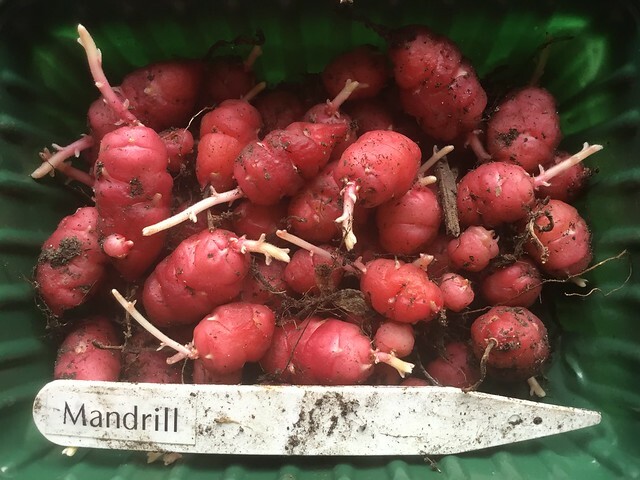 I can’t remember when I harvested them, but it was very late. They’ve been lurking in the kitchen ever since, waiting for me to sort them out. They’ve got impatient and taken matters into their own hands by sprouting. The results were very mixed, some of which may have been down to different growing conditions in the two beds. Although they were next to each other, one was more shaded. 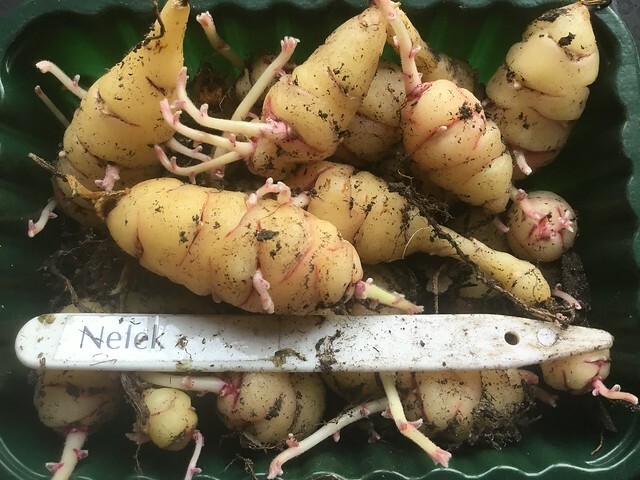 Of the twelve, two were clear winners in terms of yield and tuber size: Nymph and Nelek. 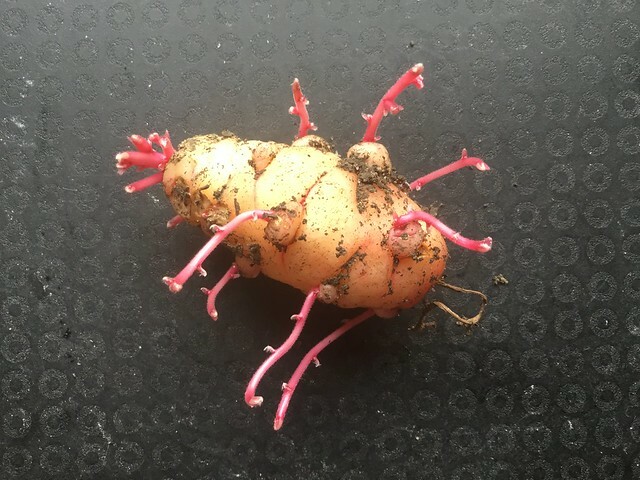 I know there are some growers who are achieving better results with oca than I have (probably by paying them more attention! ), but they’re still not on a par with potatoes in terms of yield, which is why GOB are continuing their work. This year I’m planning on growing a couple of plants each of Nymph and Nelek, probably in an old crate. 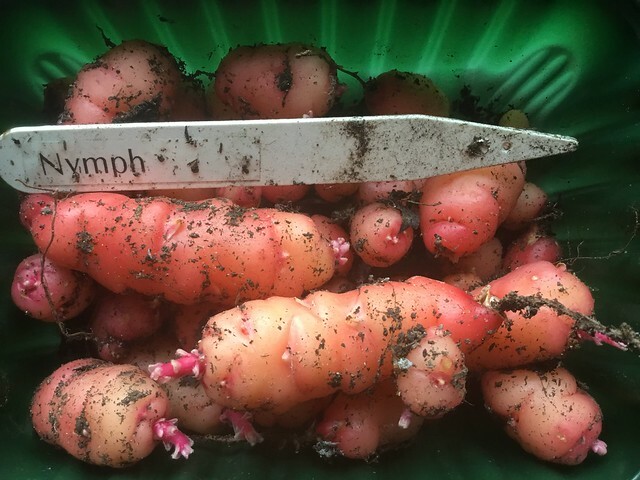 I’ll pass any other good tubers onto my friend Chris, who has more space for experimentation than I do! You’re right, the Ko-Fi thing wasn’t working. I have added a new (and hopefully simpler) PayPal button. Thanks for letting me know! That worked but Paypal dumped me back out to coopette dot com Is that your site too? Used to be, many moons ago. I shall investigate!